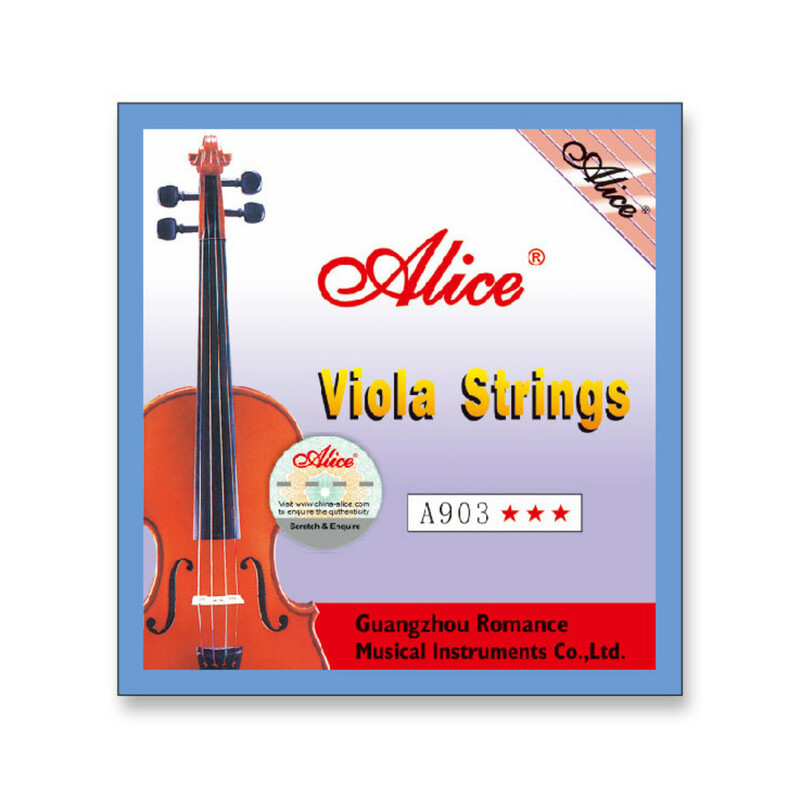 Alice viola strings are crafted using classic winding and polishing techniques, with good quality materials and craftmanship. These strings are a great value option for when your viola needs restringing, offering a well rounded timbre for a great price. These strings are designed to fit a 15"-16" viola, and are suitable for student musicians looking for a balanced intuitive string. Each string has a nickel plated ball end which means restringing is quick and easy, just pull through and tune! All four strings have a steel core and are wound with silver nickel, meaning you can achieve a confident sound with a mellow and controlled tone.